Being passionate about your projects is a great feeling. It’s even better when these passion projects result in profitable Facebook ads! 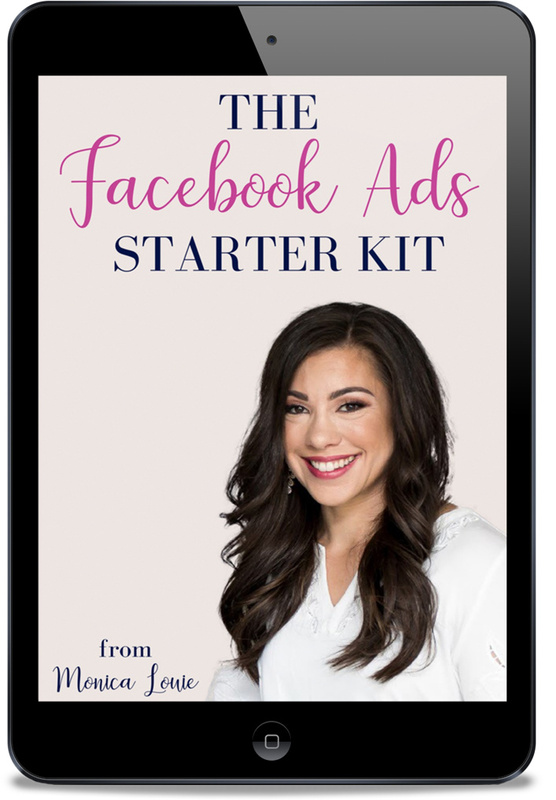 As a Facebook Ads Coach I love helping my clients and students of my course, Flourish with Facebook Ads, learn how to use this powerful tool to promote their businesses and blogs. Today’s case study is from one of those awesome business owners, Aja McClanahan of Principles of Increase. 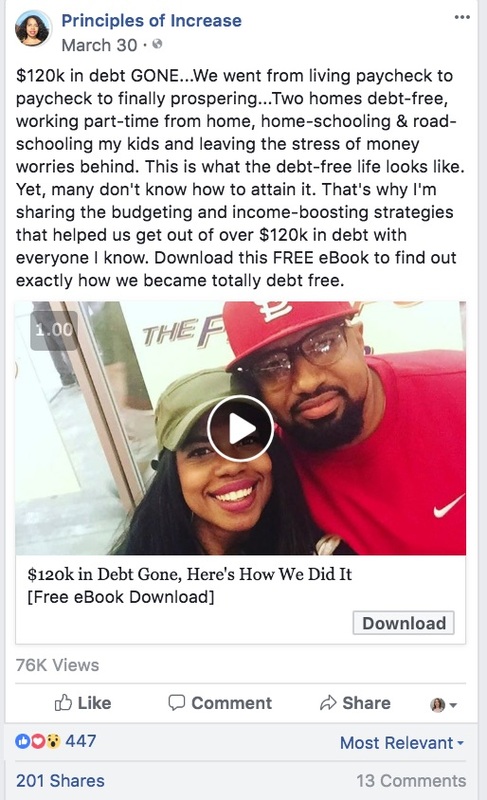 Aja paid off $120,000 of debt in 2013 and started a blog about it in 2014. During this time she was able to quit her database consultancy business, another company she previously owned. Then in 2016, she decided to go from running a hobby blog to a full-time freelance writing business as a way to mass-mentor people regarding their finances. The majority of the income she makes now is from freelance writing. Recently, she launched her flagship course, Profitable Genius, as a way to help other go-getters start earning money from their skills in just 10 days or less! Using the lessons she learned in Flourish, Aja has been able to add over 2,200 qualified leads to her email list with costs as low as $0.30 per email sign up! 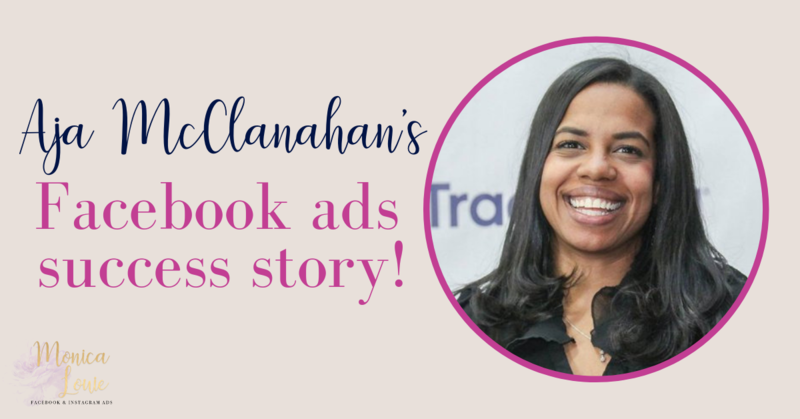 Here’s how Aja has been able to achieve these amazing results and create profitable Facebook ads! After becoming debt-free, Aja was so passionate about sharing her story and helping others pay off debt that she wanted it to be her life’s work. However, entrepreneurs know that passion doesn’t always pay the bills. So, she decided to build her email list to reach more people with her message and add a level of passive income to her business model. Before this, most of her income was earned as a freelance writer for online publications, like GOBankingRates, MagnifyMoney, and others. Initially, Aja saw great success with driving traffic to her blog and getting email subscribers thanks to Pinterest. But then the “bottom fell out” and she admits that she hasn't been able to figure out why or how to regain her traffic numbers. It was during this time that Aja decided the best way to grow her email list was by using Facebook ads! She quickly found out that Pinterest traffic wasn't as targeted as the traffic she’s been getting with Facebook ads. Subscribers that came from successful Facebook ad campaigns started replying to her emails and were more engaged with her content. She found that her audience on Facebook was much more engaged than the audience she previously had on Pinterest. And this realization might have been a blessing in disguise! One of the most common lessons that students in Flourish have to learn is how to be patient as the Facebook algorithm works its magic. For Aja, it was no different. In the beginning, she said she would “freak out and turn off the ads when they seemed too expensive.” She started off targeting cold audiences which often have higher ad costs initially, but admits that she didn't really take that into consideration. Having different expectations for different types of audiences can help you have more realistic ad budget expectations. Laying the foundation with cold audiences is usually more expensive in the beginning, but when you re-target them, the cost per result can be much lower. For example, one campaign she ran started out at $17 per lead! But she didn’t give up. She had moderate success with a static image ad and a longer landing page but her ad costs remained high. She then tried a squeeze page, and then tested a Leadpage and noticed that this page started converting better. She tested a video slideshow with captions (winner! ), and she thinks it worked because they were real images, not stock images. Aja tested many different landing pages and ad creatives, to come up with the combination that was successful. Here's what her profitable Facebook ad looked like! Through lots of patience and different reiterations of the ad creatives, plus retargeting her original cold audience, Aja was able to get her overall cost down to just $0.30 per lead. She was finally patient enough to let the algorithm do its job to bring down costs. Whenever she'd get a sale, it helped her be more patient about spending money on ads until she was able to find the right combo. Overall, Aja spent $675 for 2,200 email subscribers which comes out to about $0.30 per lead. She also earned over $500 from an upsell offer after users subscribed to her list. This brought down her net ad spend to just $175 for 2,200 subscribers, for a cost of $0.08 per lead! In addition to trusting the Facebook algorithm to drive down costs over time and make her ads more profitable, Aja also said she now allows the algorithm more leeway with optimizing her audiences. In the beginning, Aja would narrow down her audiences herself instead of allowing the algorithm to figure out which people were responding the best to her ads. She also noted that one of her biggest mistakes was turning off campaigns too early, and not letting Facebook’s algorithm do the work for her. “I'm now accustomed to seeing higher prices when Facebook is in the data collecting process, then seeing them get very reasonable after enough time of running them. Facebook’s algorithm is incredibly smart and will do a lot of the heavy lifting for you,” she explains. In the past, Aja has run other campaigns that were not as successful. But since getting positive results with this one she’s open to doing more with Facebook ads in the future! “I've been studying Facebook ads for a while, but having the group environment where you can share and get immediate feedback is really helpful. I'm a big fan of coaching to help you get over the hump when in need,” she explains. Secondarily, using real money was the toughest part about getting started with Facebook ads. “It’s scary to start a campaign off at $17 per lead or more, then trust the algorithm to do the work until you see lower costs. This is real money you are spending and there’s no refund if it doesn’t work,” she says. To combat these feelings, Aja recommends setting aside a budget of funds you can use for Facebook ad experiments, until you understand what works best for your business. Now that Aja has seen success with using Facebook ads to grow her email list, she’s excited to do even more with them. If you're ready to create profitable Facebook ads, click here to learn more about Flourish with Facebook Ads! Thank you for featuring my course and my story. The course has been so valuable in growing my email list and sales!